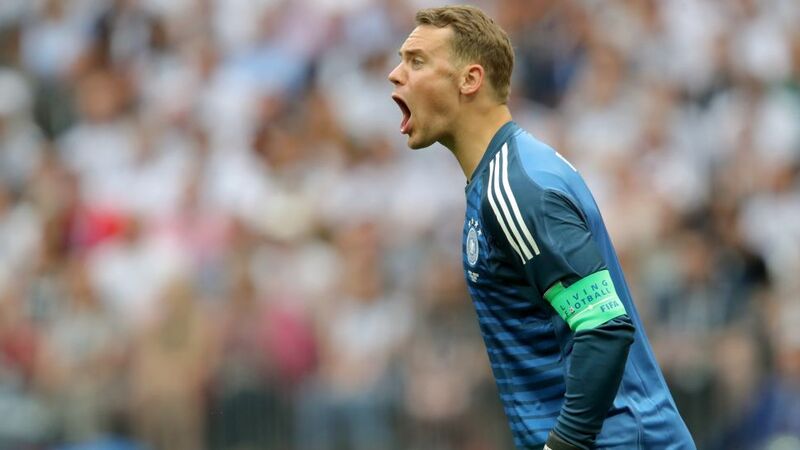 Germany and Bayern Munich captain Manuel Neuer has said that the world champions' defeat to Mexico on Sunday was "a wake-up call" and that the upcoming 2018 FIFA World Cup Group F meetings with Sweden and South Korea are "finals". Germany were beaten 1-0 by Mexico in their opening Group F fixture in Moscow's Luzhniki Stadium, PSV Eindhoven forward Hirving Lozano scoring the only goal of the game in the 35th minute. The loss was Germany's first in a World Cup opener as a unified nation, with centre-back Mats Hummels afterwards bemoaning a lack of "defensive stability". "Mexico caused us problems that we weren't able to find answers to," said Neuer on Tuesday. "It was a wake-up call, but I've never known the communication in the squad to be as good as it has been in the aftermath of the Mexico defeat. That's a good sign. Players want to put themselves forward. We don't need a second wake-up call. "We intend to approach the finals we now face in a positive frame of mind. The team believes that we can reach the knockout stages." Translation: "We're really disappointed about the start, but we have to believe #together"
Neuer was 50 minutes late to the press conference in Germany's Vatutinki training base on Tuesday, admitting that the delay was down to the team holding crisis talks. "There was a long team meeting and I'd like to apologise for the delay," he said. "We're our own harshest critics. We're frustrated with ourselves and disappointed with what we produced ... We were talking about the defensive protection and the lack of confidence. I can't answer as to why we lacked that confidence." As well as denying that there is a split in the camp between the players who won the 2017 FIFA Confederations Cup and the 2014 FIFA World Cup winners, Neuer believes that - following the clear-the-air talks – a trip to Sochi will do the team good. Germany face Sweden, who beat South Korea in their opening game, in the Black-Sea resort on Saturday. "There's no division in two, there's no split," Neuer said. "The players who won the Confederations Cup are part of the team and I think it's good we're now flying to Sochi. It's something new for us. We're pleased to travel to a new city and experience something different. "I'm convinced that we'll show a different face [against Sweden]. We need to show what made us so strong. We believe and know that we can manage that. Even so, it's not easy just to turn things around like that." Click here for all the latest from the Germany camp in Russia!